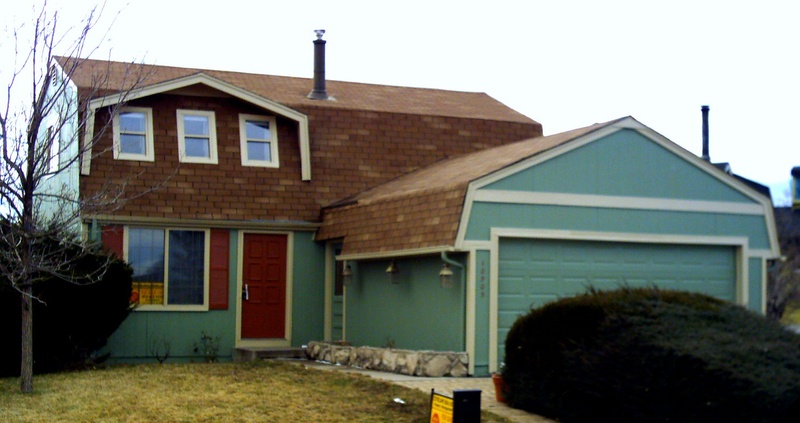 Does your home’s exterior need a paint job this year? Is it getting those funny-looking ‘shadows’ on the siding? Is the trim starting to flake? Are you thinking of painting it yourself? As long as you’re not afraid of heights and don’t mind a lot of elbow grease you probably have what it takes to paint your house yourself! 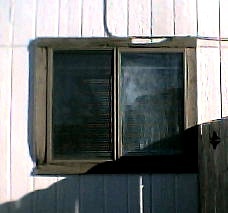 This trim is suffering form extreme deferred maintanance and will need to be replaced. 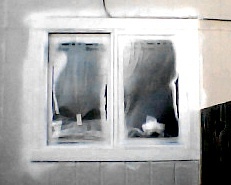 But consider this: On average, to properly prepare you home for paint (i.e. : pressure wash; sand and scrape; prime bare spots; fill all the holes and cracks; caulk or re-caulk all the seams and joints) will take a crew of two or three professional painters two to four days, depending on the size and condition, using the proper equipment and techniques. Then it’ll take one or two days to mask off the windows and doors, cover the deck and/or porch and fence and paint the body (siding) of the house using a professional airless sprayer. Finally, there’s the trim – that usually takes another day or two to hand-paint with a brush and usually takes two coats to insure even coverage. In all, a small house will take a professional crew four days minimum to paint and a larger home or one in need of more prep work can take as long as seven or eight working days. 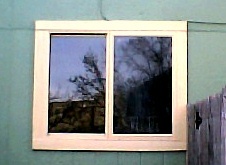 After replacing all the wood, caulking it in and masking all the windows we prime all the trim on the house. Obviously, just about anyone can do all this stuff effectively, but not doing it on a regular basis means you are probably less proficient, which means it’ll probably take you longer; let’s look at the very minimum you’ll be spending working on your paint job if you paint it like the HappyPainters would: In man-hours, you are looking at 96 hours for a small home and up to 192 for a larger house or one that needs more than minimal preparation. To do the same quality of work by yourself (even if you already own the equipment) working eight hours a day for two days every weekend will take you at least SIX WEEKS – longer if there’s a lot of prep or you own a big house. Caulked, primed and painted. What a difference! Then there is the unseen expense of equipment: As professional painters, we carry ladders, scrapers, maskers, sanders and many other tools most homeowners don’t have laying around the house. When you do the job yourself you will either have to buy, rent, or borrow the equipment you don’t have or use a sub-standard method to achieve the same result – and that’s just for the prep! Next you’ll either have to rent an airless sprayer and purchase the materials to mask off your windows, doors, fence, deck and anything else you don’t want painted, or relegate yourself to hand-painting your entire house with a brush and roller, which will significantly increase the completion time. Finally there are the brushes and rollers you’ll need no matter how you paint the body. As professionals, we buy high-quality brushes and rollers not only because they last longer, but because they actually reduce application time on the job. As homeowners, most people cannot justify the expense of high-quality painting supplies and instead opt for less expensive, lower-quality brushes and rollers, which will significantly increase time again and lower the quality of the finished product. So the question is: Do you really feel like spending your entire summer (and possibly hundreds of dollars on equipment you won’t be using again for years) painting your house, or would you rather pay the professionals to do it right and get to the enjoyment of your newly-refurbished back yard without all that heartache?